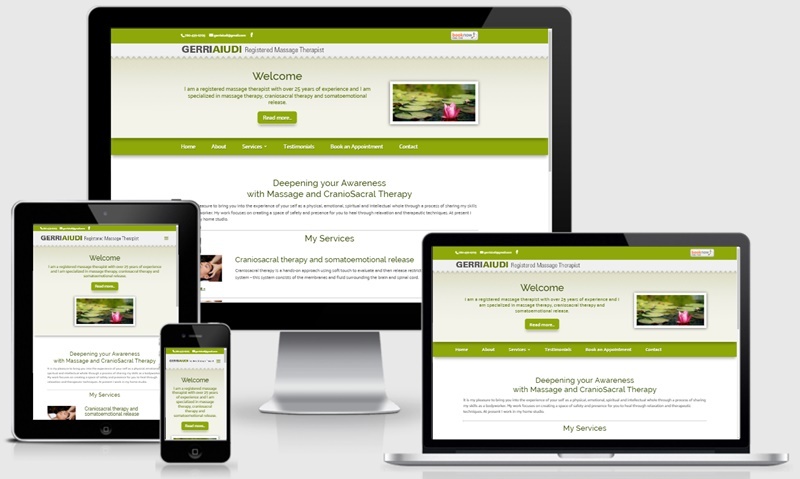 Gerri Aiudi – Registered Massage Therapist – needed a replacement for her old website. She was happy with the existing design, but wanted it to be mobile-friendly, and needed to update the contents. This is what we came up with.